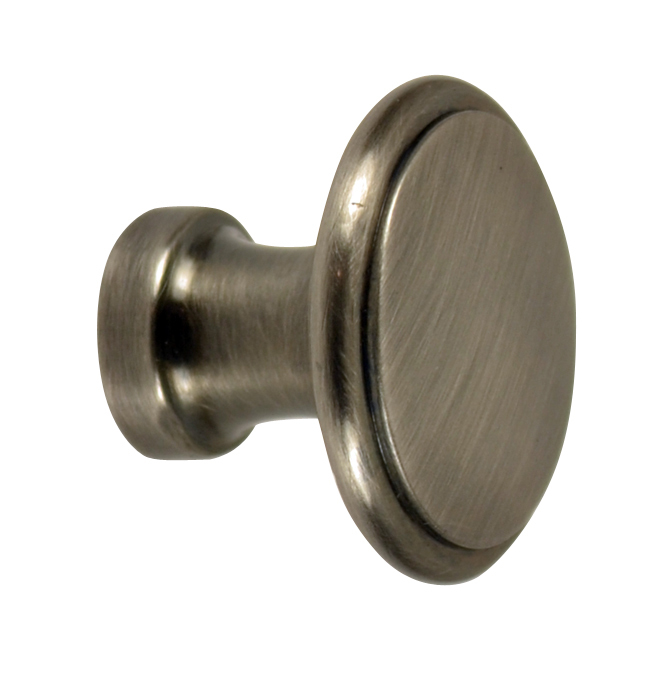 1 Inch Brass Flat Top Cabinet Knob (Antique Nickel Finish) - measures 1 inch wide with a projection of 3/4 inch. Comes complete with the mounting screw. Available in several finishes including polished brass, antique brass, oil rubbed bronze finishes and several other finishes. This knob is also available in several sizes.